Rowman & Littlefield Publishers, 9781442221376, 259pp. This book, named one of Booklist's Top 10 books on sustainability in 2014, is the first to offer a comprehensive examination of the environmental health movement, which unlike many parts of the environmental movement, focuses on ways toxic chemicals and other hazardous agents in the environment effect human health and well-being. Born in 1978 when Lois Gibbs organized her neighbors to protest the health effects of a toxic waste dump in Love Canal, New York, the movement has spread across the United States and throughout the world. By placing human health at the center of its environmental argument, this movement has achieved many victories in community mobilization and legislative reform. 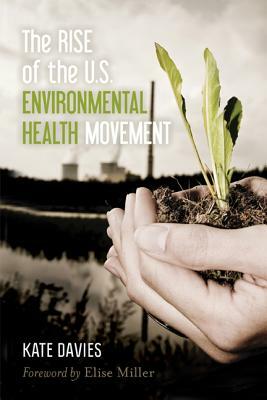 In The Rise of the U.S. Environmental Health Movement, environmental health expert Kate Davies describes the movement's historical, ideological, and cultural roots and analyzes its strategies and successes. Kate Davies has been active on environmental health issues for thirty-five years in the United States and Canada. She has worked with numerous nongovernmental and governmental organizations including Greenpeace, the Collaborative on Health and the Environment, the Institute for Children's Environmental Health, the International Joint Commission and the Royal Society of Canada. She is currently core faculty at Antioch University Seattle's Center for Creative Change and Clinical Associate Professor in the School of Public Health at the University of Washington.